One of the most popular things to hit Melbourne a couple of years back was the New England Lobster roll from Andrew McConnell’s now defunct Golden Fields, but which subsequently is still available in Supernormal in Melbourne. 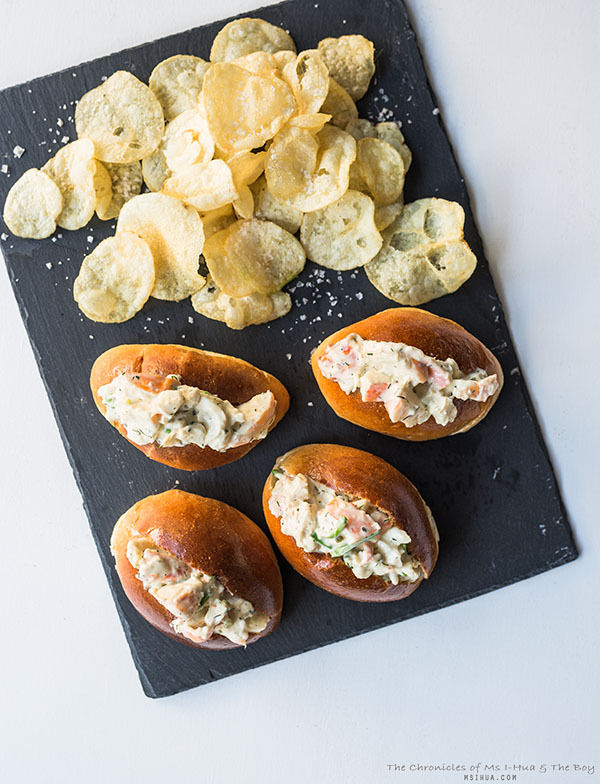 When The Boy and I travelled to America in June last year, we were astonished to see how affordable a lobster roll was from the likes of Luke’s Lobster, at around $18 for an ENTIRE lobster in a roll, plus crisps, plus drink! For a tiny lobster roll from the McConnell establishment, you are looking likely to fork out $16! Though super delicious and packed with flavour, it’s not something that is readily affordable to everyone. So The Boy and I resorted to next best thing. 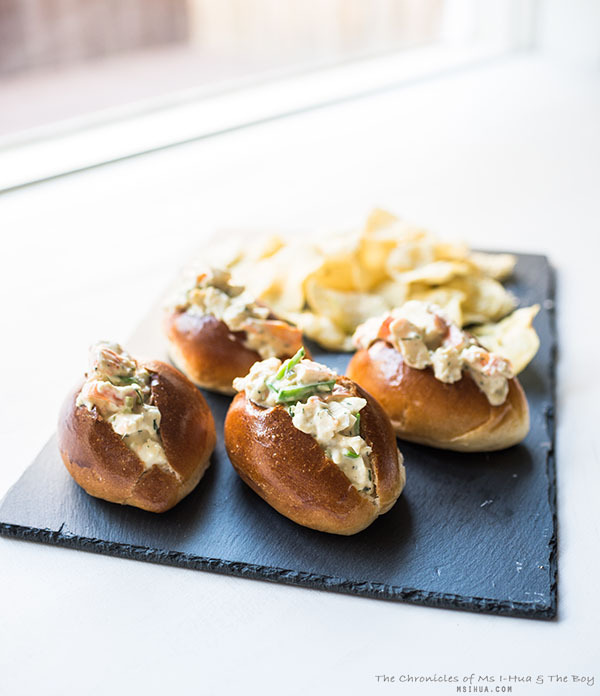 Watching out for the fluctuating prices of frozen lobster in our local grocery store and making our very own Lobster Rolls as a tribute to McConnell. 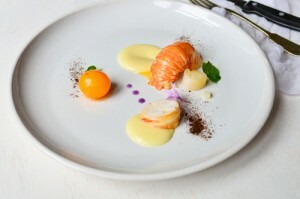 We reasoned that since the lobster filling will be lashed with kewpie mayo and other components, that it didn’t matter if the lobster meat was fresh or frozen. It wasn’t a key requirement. The secret ingredient my friends, is the actual bun that is used in the roll. In fact, there are two secret ingredients. If the first secret ingredient wasn’t enough of a revelation, you’ll certainly be in awe of the second key ingredient. In a mixing bowl, combine Kewpie mayo, lemon juice and white wine vinegar, slowly pouring in the olive oil while whisking continuously. Add in the gherkin relish, snow peas, dill and chopped lobster. Mix thoroughly. To fill the buns, slice an opening in the middle large enough to fit the lobster mixture. Be careful to not slice the bun all the way through. 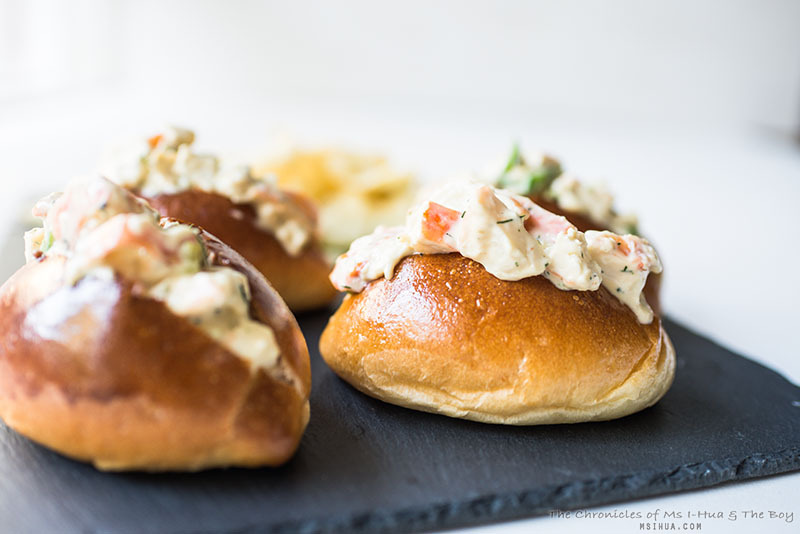 Place two spoonfuls (or more) of the lobster and mayo mix into the buns. Serve with potato crisps (chips). So the next time you are craving these babies and not wanting to fork over $$$ for a delicious good time, head on over to your local grocery and pay attention to the frozen lobsters on price specials. Trust us. It’s worth it. OMG I need more of these posts with secret ingredients in it!!! They look so yum, and those 2 things are in my shopping bags so often! I love breadtop on so many different levels. I used to have it everyday for breakfast when I was working in QV. Gosh I need one now. Oh you gem of a human! What a wonderful thing that I can make at home. And so easy with the pre-bought roll too.